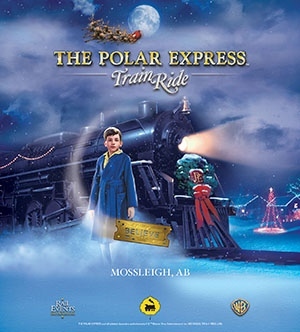 Enter to Win a 4-pack of tickets for The Polar Express Train Ride AT Aspen Crossing! Journey to the North Pole! 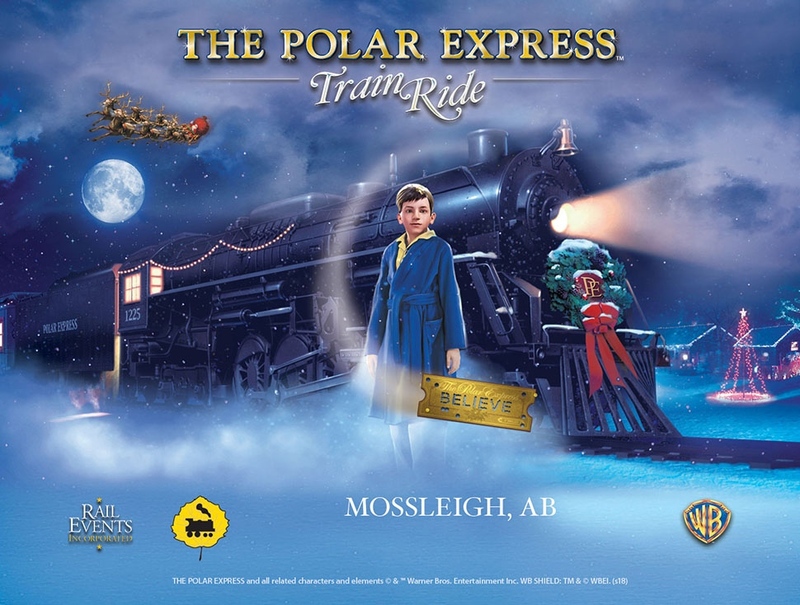 Set to the sounds of the motion picture soundtrack, families are sure to delight in their journey to the North Pole, complete with hot chocolate and cookies served on board the train. Passengers will be entertained by many of the characters from the movie as well as a reading of The Polar Express™ book. Upon arrival at the North Pole, Santa will greet the children and each child will receive their own sleigh bell, just like in the movie, to those who BELIEVE. Experience carolling and holiday entertainment that will surely become an annual holiday tradition for the whole family. Families are encouraged to wear their pyjamas for the ride and join in on the magic of Christmas! The Train ride is approximately one hour long and includes your golden train ticket, hot chocolate in a ceramic Polar Express collector’s mug, a delicious cookie, as well as your first gift of Christmas, a silver bell.